my father's first phone, i loved to play space impact on this phone. 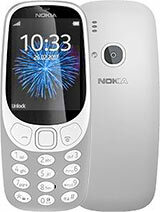 lol i use to love the games on this phone..
Use it as a weapon, Chuck Norris and Rajinikant will surrender .. ! [deleted post]WOW that's GREAT !!!! WHERE ARE you from ??? 11 that was so many ..
promo jones, 21 Jul 2015true story.....a lumia tried to commit suicide and jumped in the swimming pool and a 3310 jump... moreHAHAH , epic! Fish, 20 Jul 2015I super love this phone. I used it as my weapon against evil phones.Hahah, really? Yeah i agree that this phone is amazing! I super love this phone. I used it as my weapon against evil phones. very very good phone,very old and great!!!!! I had one which is 12 years old and it is still working great for texts/calls. The signal receptor of this phone is great even if you go undeground where the high end phones of these generations cant match it. This phone is an Apocalyse-proof phone! !